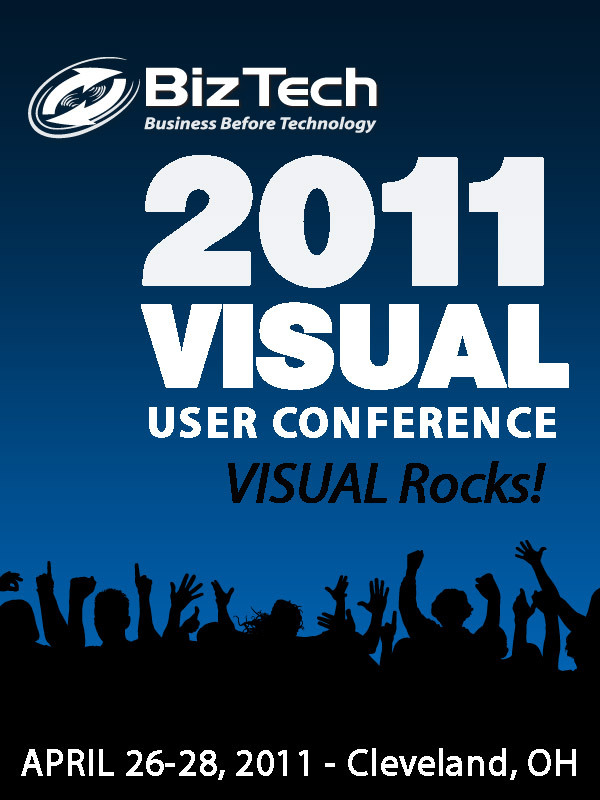 The Inaugural BizTech VISUAL User Conference "VISUAL Rocks!" will be held April 26th through 28th, 2011 at the Crowne Plaza Cleveland City Center in Cleveland, Ohio. 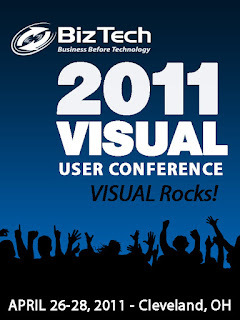 By attending the BizTech 2011 VISUAL User Conference, you will be among the first to experience a full demonstration of Infor ERP VISUAL 7.0 and learn about new functionality that will help your company be more productive. You will have the opportunity to network with fellow VISUAL users, the entire BizTech VISUAL Team and Infor Representatives. In addition, you'll be able to see a variety of technical solutions from BizTech partners in the VISUAL Solutions Center. Conference Highlights include an in-depth view of VISUAL 7.0, a Welcome Reception Networking Event on Tuesday Evening, a night at the Rock n' Roll Hall of Fame on Wednesday Evening, VISUAL Application and Technology Breakout Sessions, one-on-one VISUAL Consulting sessions and a VISUAL Solutions Center. Register by Monday February 28, 2011 and save $200.00 with the Early Bird Conference Registration Fee of $695.00 per person. All Early Bird Registrants will automatically be entered with a chance to win an Apple iPad. The winner will be announced at the Conference Opening General Session on Tuesday April 26, 2011. Accomodations - The Per Person Conference Registration Fee does not include Hotel Accommodations. We have secured a very reasonable Conference Hotel Room Rate of $84.00 plus tax per night at the Crowne Plaza.